First Church of the Nazarene is located in Decatur, IL. Signing a Phase 1 contract with Zion Church Builders in 2012, the church voted with a 95% approval rate to move into Phase 2 with ZCB! This project consists of a single-story, 24,527 square foot addition to their current facility. The addition includes a new Children’s worship area (seating 151 people), nursery, restrooms, a new Teen Worship Area (seating 136) with a café and gaming area, gymnasium, indoor play area, work rooms, and 6 classrooms. 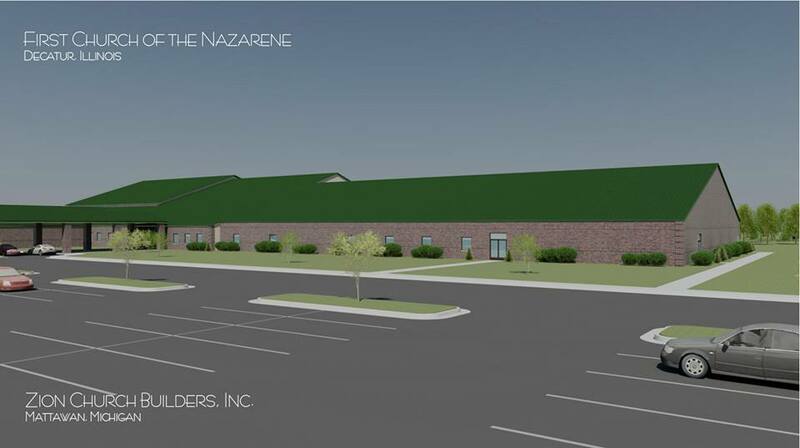 We are excited to begin the construction documents for this project and to see what this new addition has in store for the people and ministries of Decatur First Church of the Nazarene!